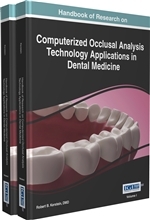 VM01-311 Handbook of Research on Computerized Occlusal Analysis Technology Applications in Dental Medicine, 2-Vols/Set. 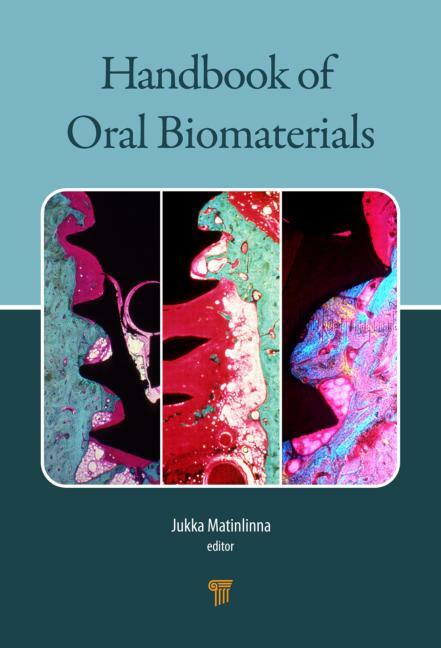 VSM03-001 Handbook of Oral Biomaterials. 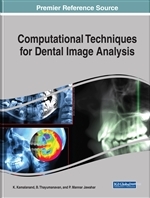 The book introduces the latest advances in dental materials and biomaterials science. It contains a comprehensive introduction and covers ceramic, metallic, and polymeric oral biomaterials. The contributing authors are from all over the world and are distinguished in their disciplines. A solid primer for dental students, the book is also highly recommended for students of engineering and basic science who want to gain an insight in contemporary biomaterials science. For medical practitioners, the book offers an invaluable opportunity to learn about the latest steps in dental biomaterials. 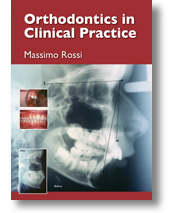 This book provides a bridge between academic theory and clinical practice, encouraging connectivity and cooperation between the proponents of dental and surgical theory, and the orthodontic practitioners who carry out the treatments. It consists of 8 chapters, in which differing levels of treatment are described, the relationship between orthodontics and other fields of dentistry and medicine are explained, and orthognathic surgery is introduced, along with four case studies. SM03-425 Clinical Practice of the Dental Hygienist & Student Workbook, 2-Vols/Set. SM03-379 Oral Health Epidemiology: Principles and Practice. The overall goal for this book is to provide understanding that will prepare readers to be: * become skilled in epidemiologic, clinical-translational research approaches to oral health * write complete research grants * design proper studies * translate their findings to practice * conduct logical critique of scientific literature * effectively communicate their ideas * recognize the value of collaborative research interactions * lead and inspire others to accomplish mutual research objectives * translate their findings to practice * make ethically correct decisions * be sensitive and harmonious in relationships with their peers. Age Estimation in Forensic Odontology: A review of literature and comparative assessment of two dental histological methods. Reflection: Principles and Practice for Dental Professionals. SM03-360 The Management of Medical Emergencies: A Gudie forDental Care Professionals. This book, written specifically for dental care professionals, aims to discuss generally what constitutes a medical emergency, providing a step-by-step sequence for assessing the ‘sick patient’, and describing in detail how to manage each component of the assessment. The book is divided into three sections. Section one describes the fundamental systems of the body such as the respiratory system, the cardiovascular system, and the nervous system. Section two discusses emergency procedures such as defibrillation and the administration of drugs. Section three describes in detail the medical emergencies most commonly encountered in the dental setting and how they should be managed, for example anaphylaxis, angina, faints, epileptic seizures, hyperventilation, thereby effectively producing a step-by-step guide. This book is directed towards continuing professional development with a view to increasing understanding, awareness, knowledge, confidence and competence. SM03-356 The Dental Nurses' Guide to Infection Control and Decontamination. This book has been written specifically for dental care professionals, encompassing dental nurses, dental technicians, clinical dental technicians and orthodontic therapists. With Statutory Registration commencing in 2008, this book has been written to educate and inform dental care professionals on all aspects of infection control within their practice. The book covers areas including: background to infectious diseases; maintenance, sterilisation of instruments and cross-infection control; personal protection measures to control infection; surgery preparation and maintenance before and during treatment sessions; safe disposal of dental instruments, sharps, equipment and materials. SM03-329 Orthodontic Management of Uncrowded Class II Division 1 Malocclusion in Children. SM03-314 Integrated Dental Treatment Planning: A Case Based Approach. SM03-325 Trends in Oral Health Care. This book provides a background from which both students and practising nurses can develop their knowledge and skills in this area and take pride in providing the highest quality of care. Professor Dame Jill Macleod Clark The oral health status of the general patient population is frequently overlooked. 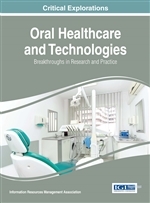 This collection of related chapters focuses on aspects of oral health, its assessment and treatment in different clinical settings. A detailed glossary covers the common terms of oral disease conditions with photographs to illustrate typical presentations and a basic assessment procedure. It is hoped that this book will provide a useful introduction and reference aide to student and practising nurses, medical and dental students, and carers in general. Richard White is a freelance Medical Writer and Clinical Consultant.